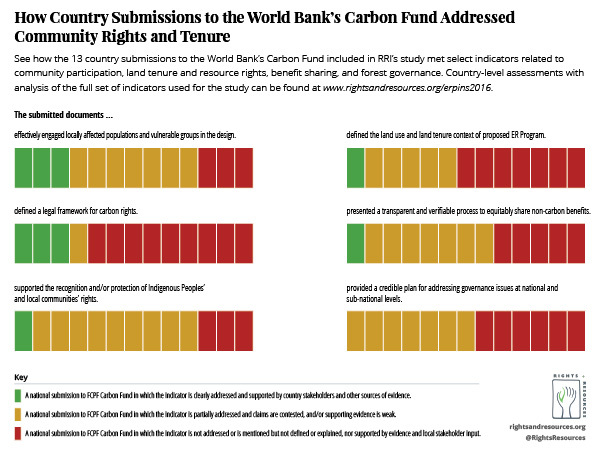 New research from RRI reveals that 13 submissions to the World Bank’s Carbon Fund–one of the most advanced REDD+ initiatives–either fail to recognize the importance of land rights or adequately include local peoples in key decision-making processes. 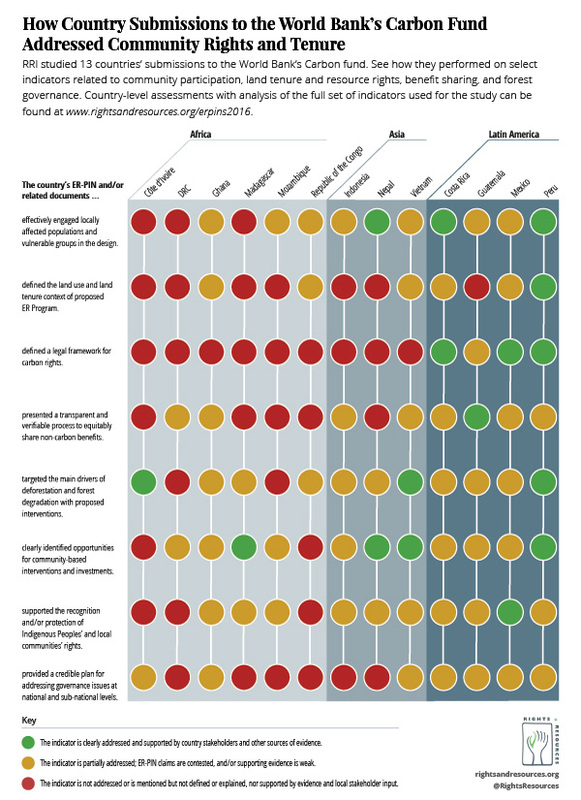 This report was based on an assessment of 13 countries’ submissions to the FCPF Carbon Fund, using an analytical framework and review of the Methodological Framework, developed by RRI. 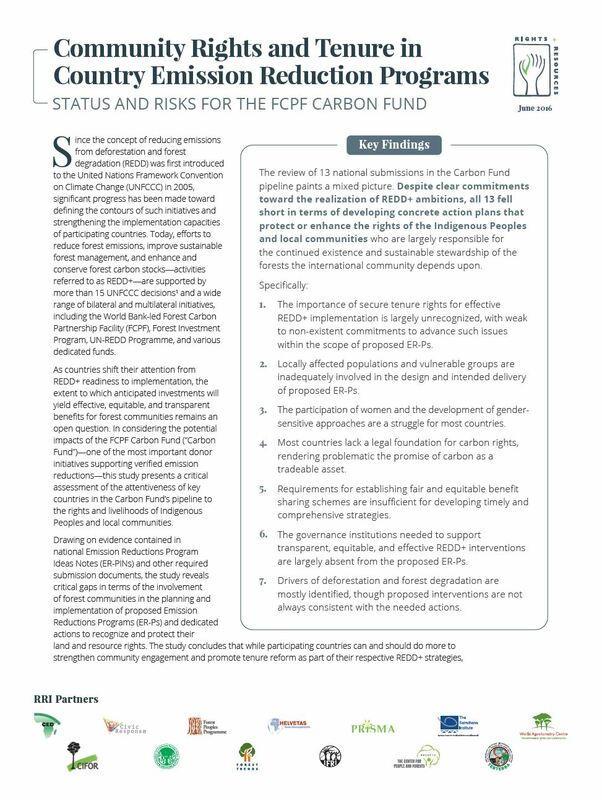 REDD+, Rights and Results: Can the FCPF Carbon Fund Help Save the Rainforest?